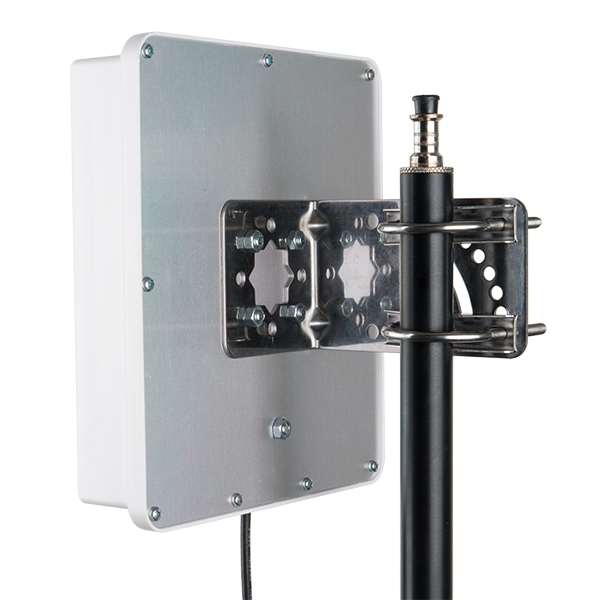 This is your solution when you absolutely, positively need to get the most out of an antenna for your next RFID project. 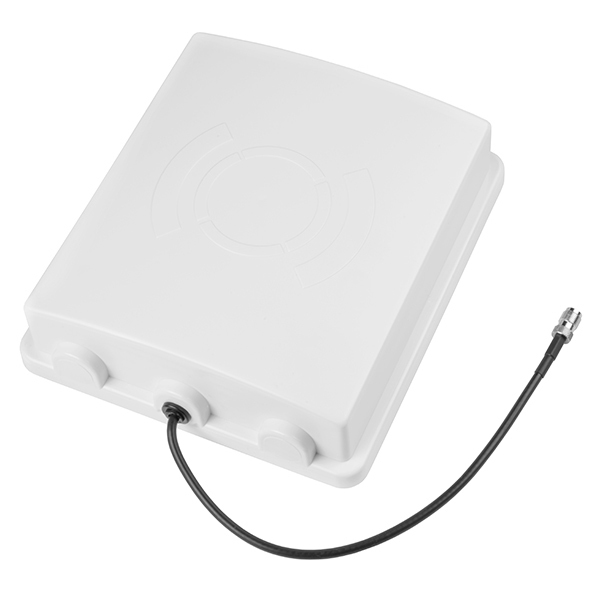 This ultra high-frequency (UHF) RFID Antenna boasts a frequency range of 860-960 MHz with a gain of 6dBi. 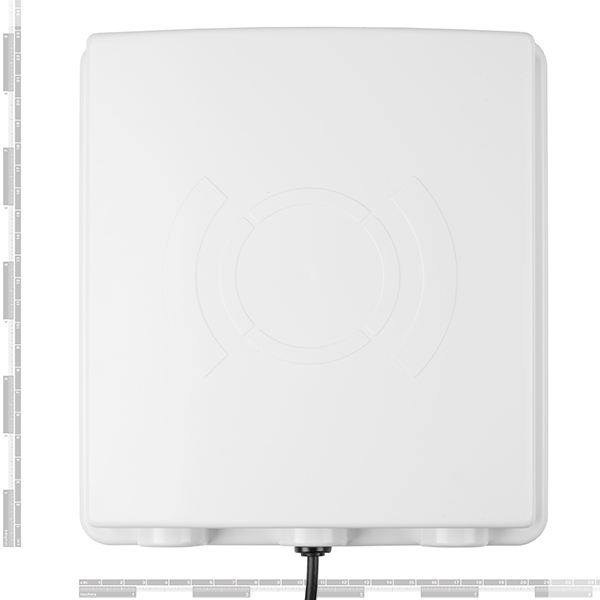 This is the same external antenna we use for our Simultaneous RFID Reader due to its high-quality features. Each UHF RFID Antenna is terminated with a 30cm long TNC Female RP cable. If you need to extend the cable attached to the antenna, we offer additional cords to help you out! A basic guide to getting started with the RFID Tag Reader breakout and how to read and write multiple RFID tags over multiple feet! Hello, I would like to make my privacy gate open passively using RFID. What I have in mind is I approach the gate and at around 50 feet the RFID in my car is interrogated, returns a signal, and the gate begins to open. Is this antenna powerful and sensitive enough to achieve this? 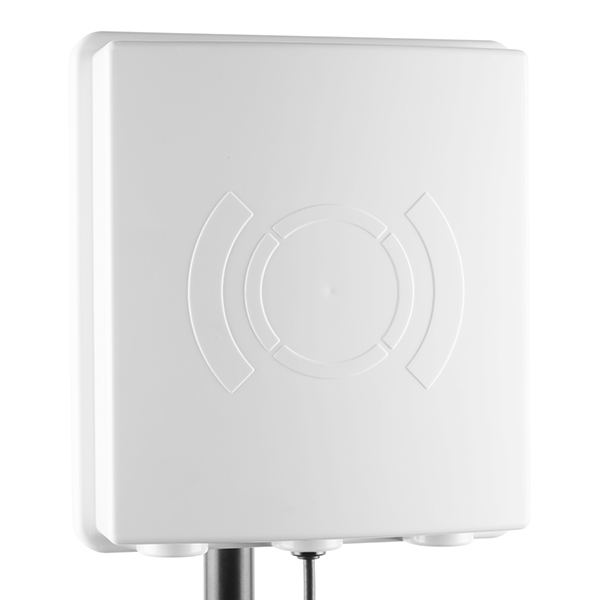 The frequency, gain and Wattage input requirements are well within the LORA 915mhz range- Can these antennas be used as a more directional antenna with the LORA Radios ? Does anyone have an idea of how much this thing weighs, and can you take this out of the case to decrease the weight. I want to try and mount this on a drone. 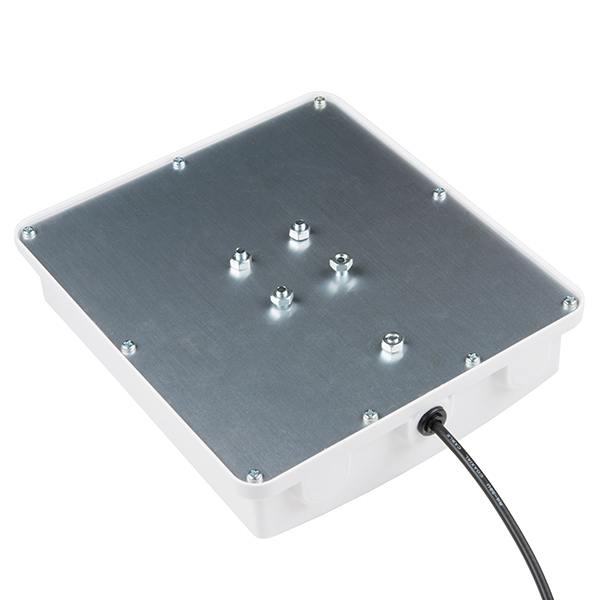 Hi, i want to know which products i need to buy specifically to connect a external antenna with my Module M6E. When will this product be available again? 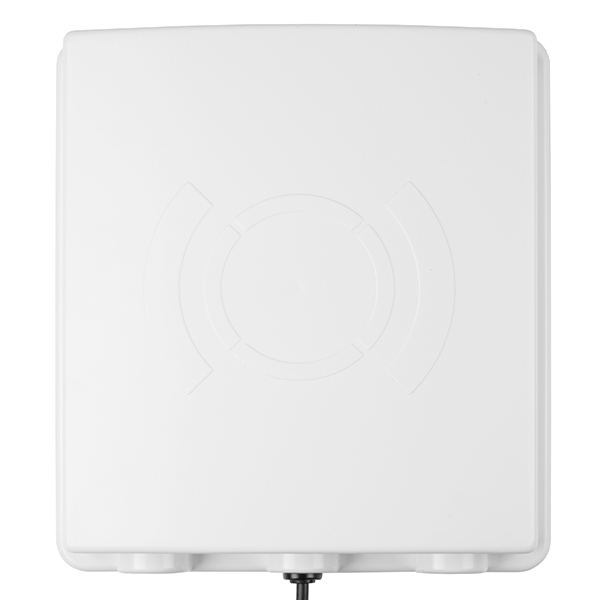 Is there an alternative antenna that you could recommend for the simultaneous RFID reader and is available? I received my antenna a few days ago. I just wanted to point out that all the shiny mounting hardware shown in the fifth photo is not actually included. 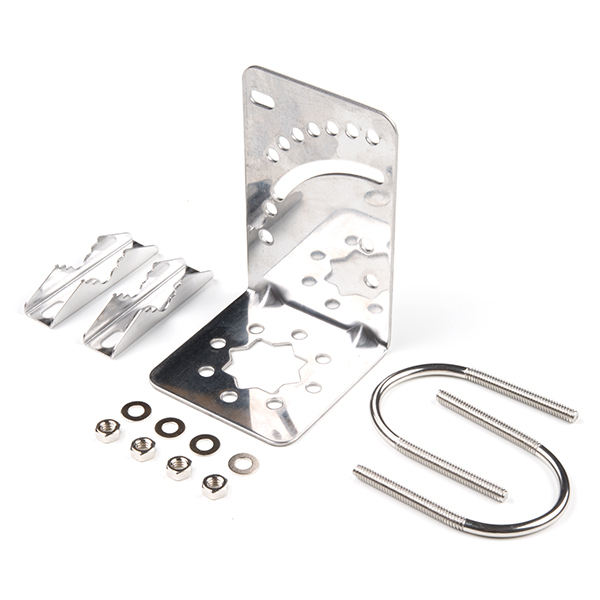 Does anyone know where I can buy a mounting bracket like the one shown in the picture? Has anyone had success mounting this to anything, and can you share your experiences? Thanks! Happy Monday! The latest comments are 2 months old and about 3 months ago it sounded like you were working with the manufacturer on a issue. Any update? I have all the other parts I purchased through you for a project but the lack of this antenna is keeping us from moving forward. Any update, even a "bad" one, would at least help in our planning. Your site is great and I appreciate you not shipping a defective product, so hopefully it gets resolved soon. Thanks! Any update about this item? Please.. I was about to ask the same thing.. Waiting patiently.. Sorry about that. We had them in but they were breaking during shipping so we pulled them from stock and are working the the manufacture to figure out the issue. I don't know if we have an ETA at this point, but keep checking back, as we are trying to get them back in stock as soon as possible. That's the only board they have at the moment in this frequency range. It would be nice if you sold a TNC to U.FL so we could plug this into the RFID ready you sell. Edit: I see you sell a SMA to U.FL....That's more high frequency connections I'd care for, but it will do for now. Thanks for making this antenna available and such a reasonable cost. I've tested this mounted on a tripod, reading tags with SFE's Simultaneous RFID Tag Reader. As long as the tags are clearly visible, and oriented correctly (vertically, in the case of WRL-14151), I can get 15+ feet read distance. I havenât hooked it up largely because I failed to notice I needed a micro adapter to connect this to to simultaneous read rfid board(sen-14066) and had to make a second order. Please add a note with this product and the rfid reader to save others equally blind from this terrible fate. Looking forward to a happy implementation.